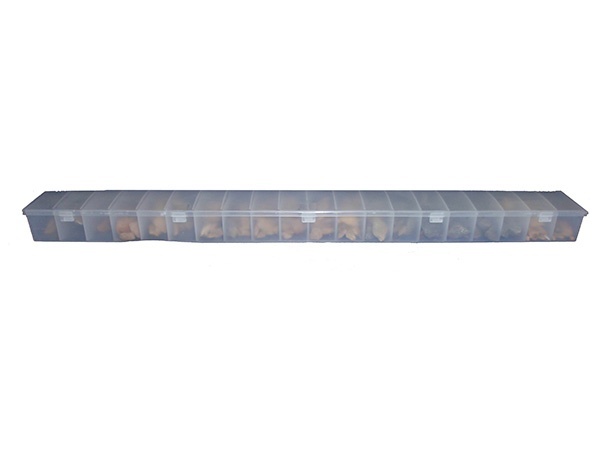 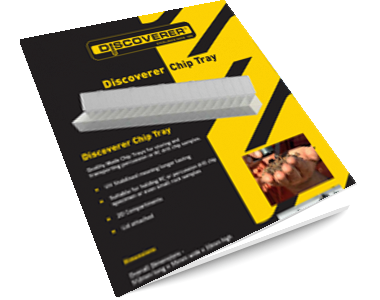 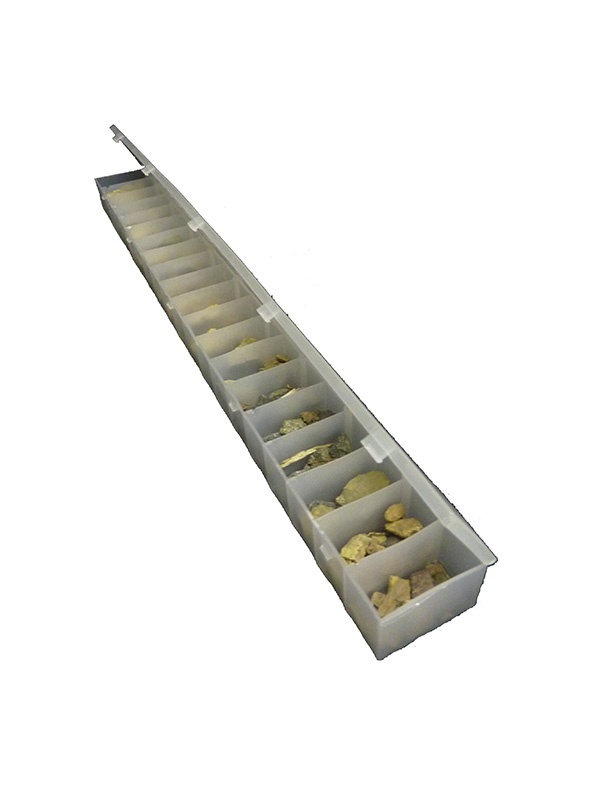 The Discoverer 20 compartment percussion chip trays are designed to store and transport your valuable percussion or RC drill chip samples in separate compartments. 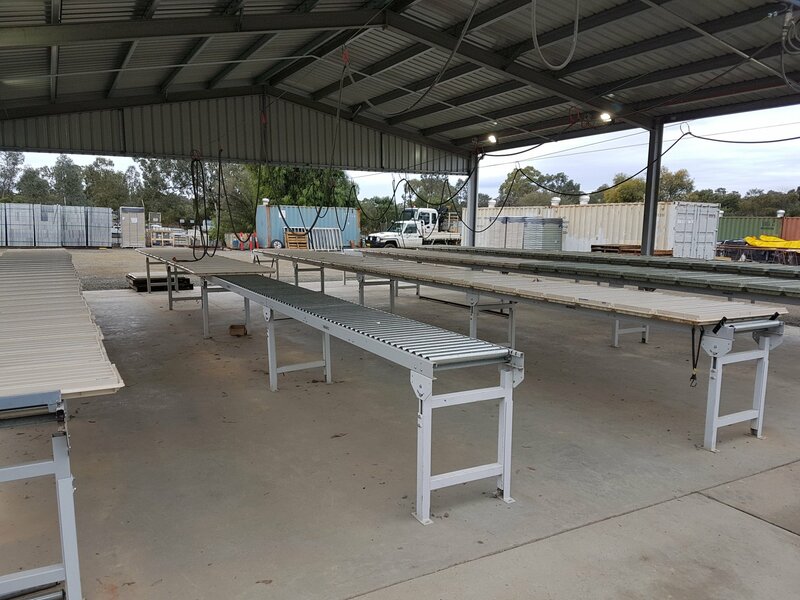 The trays can be marked with marker or paint pens. 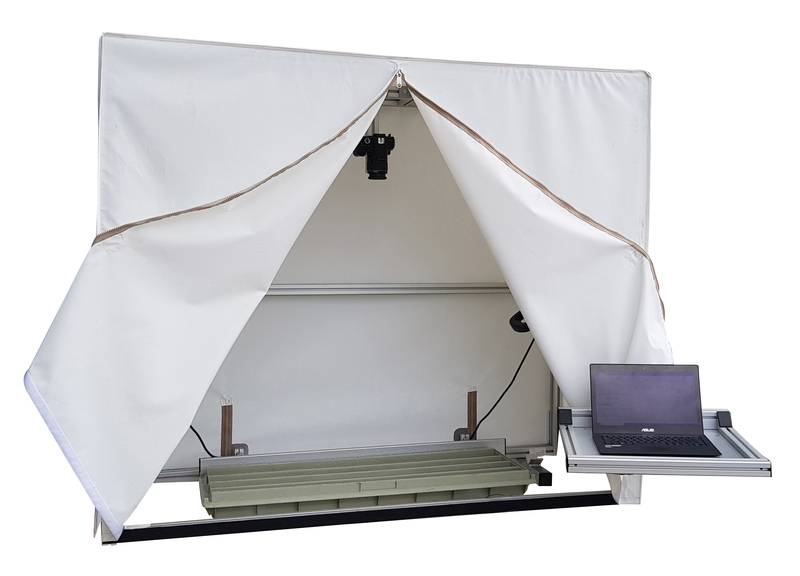 The unit features a strong hinge and clasp for repeated opening and closing. 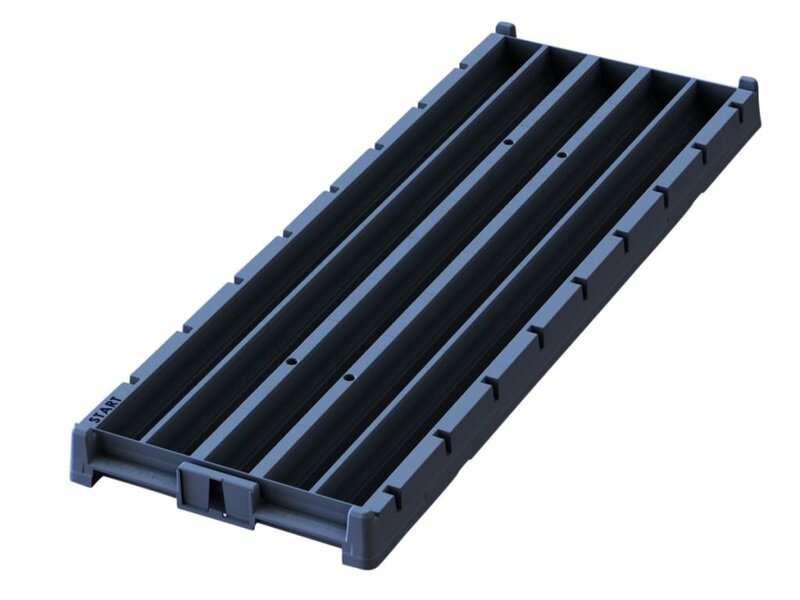 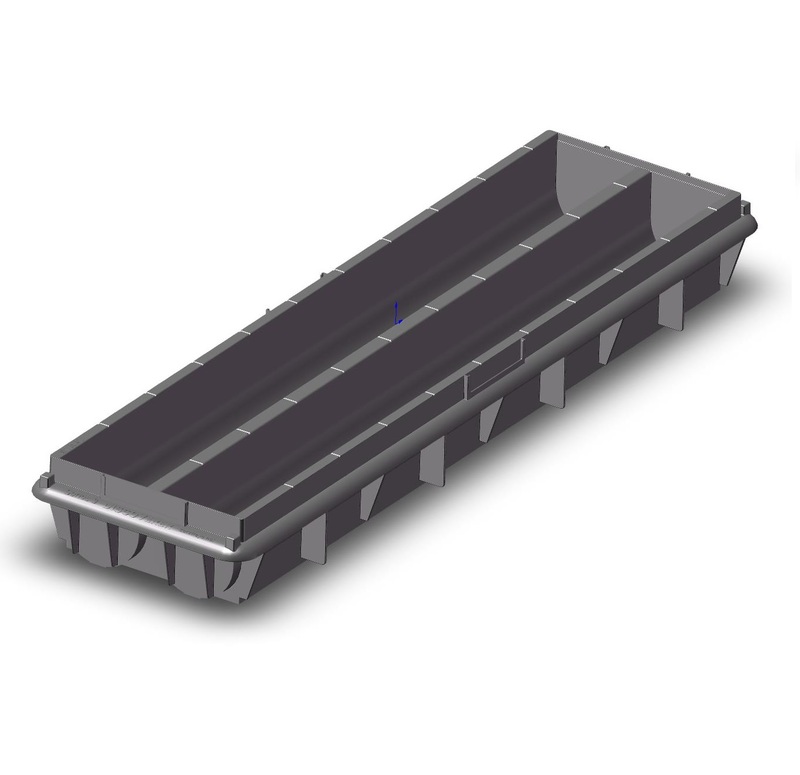 These are typically supplied in White or Clear, but we can manufacture Black Chip Trays to order. 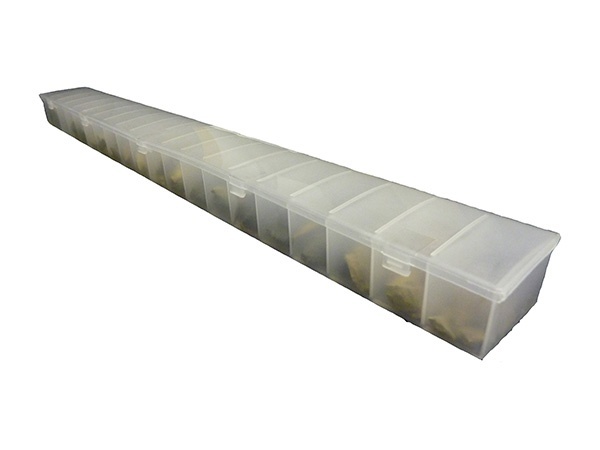 Supplied in boxes of 100 units.